Expectations ran high as CJ Licata entered his final season of track and field with Gill St. Bernard's. In the spring of his junior year, the thrower claimed the shot-put and discus titles at several meets, including a dual win at the NJSIAA Non-Public B Championships. This past winter, he took the top spot for shot-put at the NJSIAA Meet of Champions and was named athlete of the year by NJ.com. As impressive as those showings were, they paled in comparison to the Princeton-bound senior's spring season. Licata established his dominance early on with a shot-put throw of 62-6.25 and a discus throw of 176 at the Skyland Conference Relays in April. He went on to claim both events at the Somerset Relays, the Prep B Championship, the Skyland Conference Championship, the Glenn Loucks Games, the NJSIIA sectional finals and the NJSIAA group championships! At the Meet of Champions, Licata's shot-put throw of 64-6.75, a personal best, secured him yet another first-place finish. 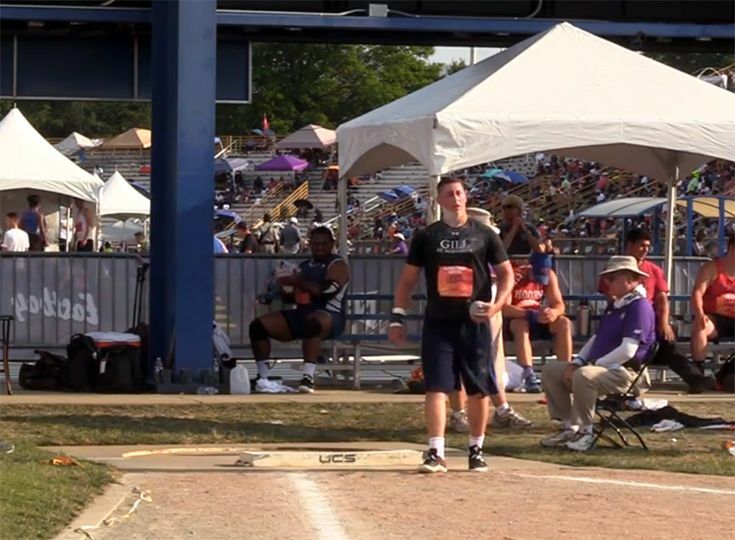 The best shot-put thrower in the state, Licata also earned recognition at regional and national competitions. At the Penn Relays in April, Licata garnered the top American finish with a shot-put throw of 63-1.25. He earned second overall, with the top spot going to a thrower from Jamaica. Most recently, Licata competed in the New Balance Outdoor Nationals in Greensboro, North Carolina, where he launched a 65-1.5 shot-put throw. The distance marked a new personal record for Licata and also earned him All-America designation. After so much hard work, Licata is now enjoying a few days of vacation with his family. When he returns, his focus will be on training for next season, when he joins the Division I Princeton Tigers. Congratulations CJ and go Knights!